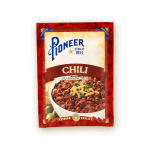 Pioneer Homestyle Meatloaf Mix is an expertly crafted mix of flavor and spices that makes meatloaf a quick-to-prepare and easy-to-enjoy meal. 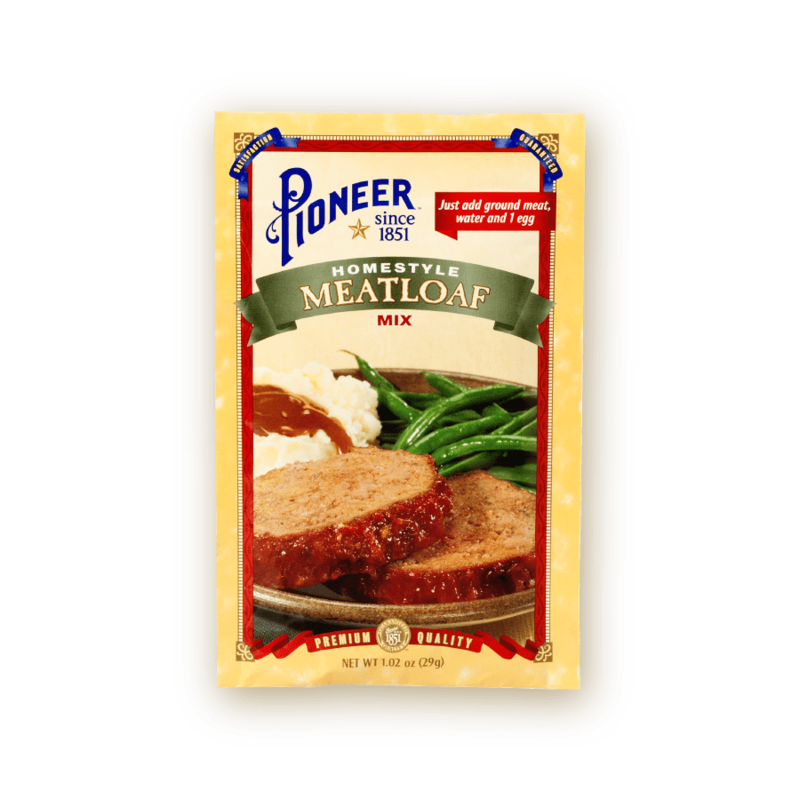 Discover for yourself Pioneer’s memorable mix of salt, smokey hickory and dash of secret ingredients that takes ordinary meatloaf to a new level of flavor, sure to delight every hungry smile around your table. CONTAINS LESS THAN 2%: NONFAT MILK, MALTED BARLEY FLOUR, YEAST, NATURAL FLAVORS, NATURAL SMOKE FLAVOR (HICKORY), CARAMEL COLOR, HYDROLYZED SOY PROTEIN, YEAST EXTRACT, AUTOLYZED YEAST EXTRACT, CORN SYRUP, MALTODEXTRIN, GUM ARABIC, DISODIUM GUANYLATE, DISODIUM INOSINATE.